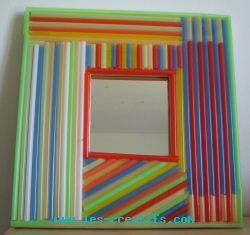 A mirror with colors for a great ''pop'' vibe! 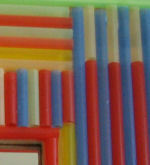 It can be a bit tricky for young children to cut the straws (these special craft straws are quite tough!) and this can take too much time and effort... 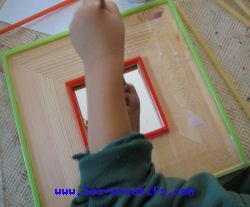 In this case, it's better to cut the straws yourself and leave certain stages to them - the pasting and straw-placing and most of all, the choice of straw color – the most creative bits, in other words!